EDITOR’S NOTE: In this article, Stephanie Gordon follows the stories of several young farmers getting started in agriculture careers. She explores the barriers faced by new farmers in Ontario, including rising land prices, and equipment costs — and the differences between those who have grown up in farming families, and those new to farming. She also notes smaller-scale farming enterprises can be a good entry point for new and young farmers. 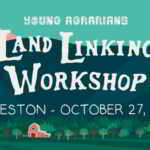 Can a young person get into farming today? On Dylan Sher’s first day of his summer job at the dairy farm, a cow had fallen ill. The veterinarian was called. He would spend the next week caring for her, feeding her and helping her drink water. He gave her food even though she wouldn’t eat and helped place her head in the water pail to drink. Even though she was an older cow, the farmer tried to nurse her back to health. After doing all they could, the cow’s condition deteriorated, and she had to be put down. The farmer handed Sher a bucket of soap and a brush to start scrubbing the walls of the stall. Unknown to Sher, in the stall beside him, lay a pregnant cow. That night while he was back home, the cow gave birth. The next morning, the farmer handed Sher a bucket of soap and a brush to start scrubbing the walls of the stall. He found himself doing the exact same job, but this time because a calf was born. Life went on. In that moment, Sher understood the care that goes into these animals and why farmers get up every morning. His first week had come full circle. Even though Sher’s first couple of weeks on the farm were some of his hardest, the experience also solidified his decision to get into farming. Dylan Sher is an agricultural business student at the University of Guelph who wants to one day own his own farm. This isn’t an uncommon career path for those studying in his program, but it is for Sher who grew up on the outskirts of Toronto in Richmond Hill. His family’s construction business does not prepare him for life on the farm. Without a farming background, Sher will have to overcome several significant barriers before he is farming for a living. 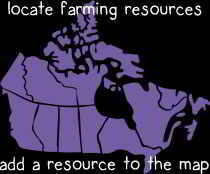 Agriculture is Ontario’s second biggest industry, but it is as impenetrable as it is big. However, with an aging and shrinking farming population, agriculture can be an opportunity for many young people. With farming, there is no clock-in and out time. You have stuff you need to get done. Sher ridded himself of any misconceptions about what farm life would be during his summers working with farmers. Even with the experience, Sher still faces barriers to starting his career. The main two obstacles for a farming outsider are the initial capital investment and learning curve. Apart from dedicating a lot of time to take care of a farm, it is also a big financial commitment. 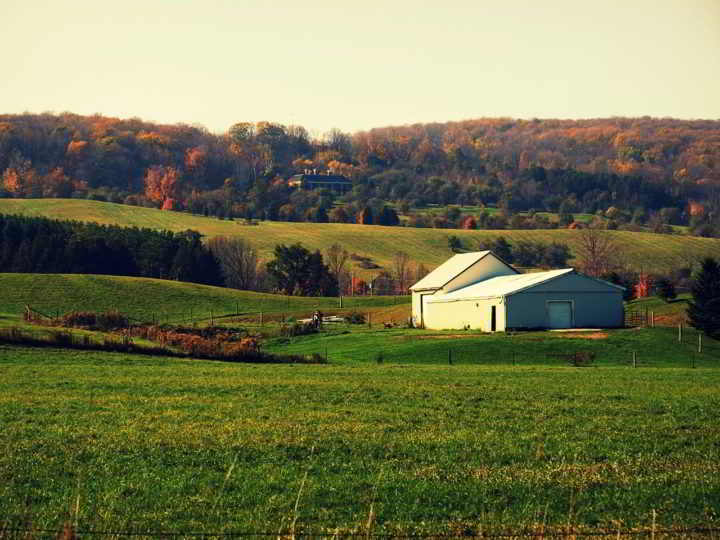 The average price for an acre in Ontario depends on a variety of factors such as soil quality. “The good stuff” costs up to $10,000 – $15,000 per acre. A mid-sized farm is around 500-700 acres which means it costs up to $10.5 million. A larger operation is around 1,500-2000 acres, which costs up to $30 million. Alfons Weersink, a professor in the Food, Agricultural and Resource Economics (FARE) department at the University of Guelph, says in traditional commodity agriculture, you must be big to generate enough income to support a family. Traditional commodity agriculture is when you grow corn, soy beans and other commodities that lack differentiation across farms. Farmers scale up and add more acreage to generate more profit. With tight margins, your farm could be making millions of dollars, but you’re spending just as much in expenses. “It is difficult to get into unless you are moving into it from within a family operation, because otherwise it’s very capital intensive. Land is expensive, and most people would not allocate that many dollars to something that generates that return,” says Weersink. East of Lake Huron in Auburn, Jeff Platzer, 24, plans to take over the farm that’s been in his family for 147 years. His family is supportive of him to carry on the legacy, but to make it official he would have to buy the farm from his dad. Platzer’s farm is roughly 300 acres, which means it will cost him $4.5 million. 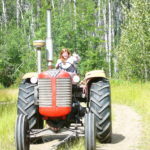 Young people nowadays cannot afford to purchase a home, let alone a mid-sized farm. Yet, Platzer has it easier than someone without a farming background. The farm is incorporated so he can buy shares and slowly build up equity in the farm before transitioning to its full owner. Stephen Denys, 51, did not take over his family’s farm just outside of Chatham, Ont., until his late thirties. When his family bought their first farm, the 100-acre lot cost close to $500,000. It was approximately $5,000 per acre – a third of what an acre costs now. Denys sees that land costs have been escalating because of investment in agriculture and land. Since land is a safe investment, more people from the outside are investing in farmland. Another reason has been the lower interest rates. Denys notices that people are willing to pay more for the farm next door or down the road. All this investment in farmland continues to drive the price higher. Even now, Denys is still transitioning to owner but has been slowly building equity by buying land and equipment over time. Investing in a farm is a lifelong commitment, and rising land costs continue to be one of the biggest barriers to entry. On top of the initial investment in land, farming equipment does not come cheap. Denys says a new combine harvester costs around $600,000, but good used equipment is also available for a fraction of the price. With small margins, you either go big or go home. “You have to farm quite a few acres to justify those types of purchases,” says Denys. Sher says small scale farming is easier to enter. Within the niche industry, costs are lower. There are farms that offer apprenticeships, allowing you to test the waters and learn the ropes before starting on your own. Most farmers break into the industry with a boutique farm focusing on fresh vegetables, or strawberries, and build over time. Once you include livestock, the operation becomes more expensive to maintain. Simply starting to grow vegetables in your backyard can help determine if you would like farming. Sher says there’s the misconception that farms are inaccessible to the public. If it is something you’re interested in exploring, he suggests taking an opportunity to go to a farm and help. In his first year at Guelph, Dylan Sher went on his first farm tour with the Diary Science Club. The weekend tour visited eight different dairy farms throughout Ontario and Quebec at the end of January. The tour was an opportunity to see how farmers were doing things and ask questions. Most of Sher’s classmates come from farming backgrounds. While they spoke freely about somatic cell counts and asked questions, Sher stayed quiet. Sher has come a long way but is still positioned at a disadvantage when compared to farming kids who might have an innate understanding of how the farm works. 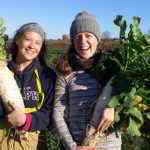 When it comes to farming, “there’s no www.howtofarm.com, it’s ask your neighbours, learn from your friends,” says Sher. He remarks that most of what he’s learned about agriculture has come from his classmates, his extracurriculars and his time working alongside other farmers. Back in Auburn, Platzer says his childhood experience growing up and helping on the farm is an advantage. “I know what’s coming up…I know what to expect when I say to dad that I want to take over the farm…I’m not going into this blind and he’s going to be there with me to help guide me through it,” says Platzer. One advantage Sher has is “no bad habits.” Some of his classmates are taking over longstanding operations. While they may want to make changes, sometimes the response is “this is how we’ve always done it, why change it?” It is easier for a new farmer to be innovative and try out new technology when starting their own operation. “The days of just wanting to go farming are kind of over,” says Bryan Boresma. Bryan Boresma works on his family’s farm after graduating from the agriculture program at the University of Guelph’s Ridgetown campus nearby. He acknowledges coming from a farming background is an advantage because the farm has been growing over the years. However, he says there’s still a learning curve even if you’ve grown up with it. However, Boresma was not always set on farming. Agriculture is the backdrop to so many of our lives. Coming from a city background, Dylan Sher realizes he will be joining a career that has existed for centuries. He didn’t grow up on a farm but credits the garden in his elementary with igniting his curiosity in farming.